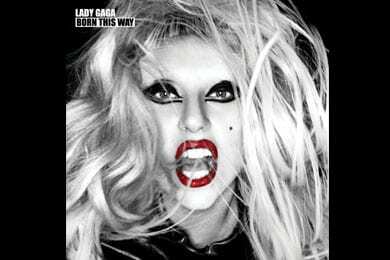 Lady Gaga’s fans (affectionately known as “Little Monsters”) attacked Amazon on Monday when the retail giant offered one-day-only full downloads of her new album Born This Way for 99 cents. The resulting surge in traffic and purchases choked Amazon’s servers, leaving many customers unable to download or stream the album. At 99 cents, Amazon’s download was $11 cheaper than the equivalent iTunes download. The loss-leading move could be viewed as a way for Amazon to bolster its Cloud Drive and Player service, as Apple prepares to launch its own cloud music service. Amazon users get 5 GB cloud storage by default; purchasing the album grants them a full 20 GB. Despite the price difference, iTunes users still purchased enough downloads of Born This Way to push it to the No. 1 spot ahead of Adele’s 21. There is also a bonus track digital edition of the album available for $15.99. Other retailers also went Gaga with clever promotional deals. Best Buy gave away copies of Born This Way for free, provided that the customer purchased one of three smartphones with a two-year service plan. Visitors to Starbucks.com could stream the entire album for free, and download single “The Edge Of Glory” for keeps. The hype over Born This Way also raises questions about first week sales figures. Easily one of the most anticipated releases of the summer, Billboard estimated its first week sales would fall in the 450k-750k range. Following the flurry of promotional deals, however, that number could shift upward.